At 16 years old, Jake was like any other child. He loved going to the beach, surfing, and playing basketball or any sport with his friends. He had just gotten his learner’s permit and was looking forward to getting his license in September. 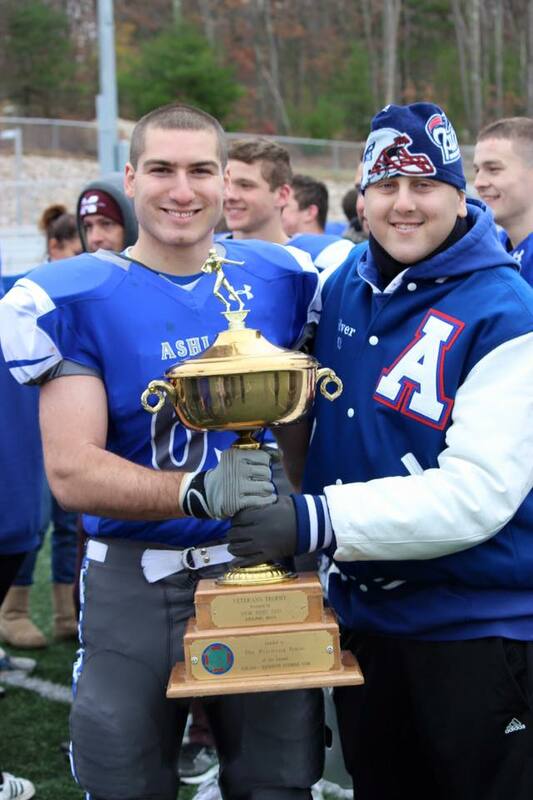 In his hometown of Ashland, MA Jake was a good student, and the kicker on the high school football team. Football was his passion and he planned on attending Kicking camp this summer, maybe even hoping to be a kicker on a college football team. In addition to playing sports, Jake had also found a passion on the athletic sidelines. As a volunteer, he was able to use his voice, his high energy and his great sports IQ to announce local high school sports games on cable TV. This summer, the cable TV station offered him a job to learn about show production. In April 2016, Jake began to experience some pain in his right leg, his kicking leg. It was thought that maybe he had overused or injured the leg doing shot put for the high school track team. After a week of rest there was no improvement. In the past Jake had also suffered from Psoriatic Arthritis so it was thought that maybe the knee pain was a flare-up from this. A visit to his Rheumatologist would prove that his knee pain was not due to a flare up, and so Jake was sent to an orthopedic specialist to work on getting a diagnosis. 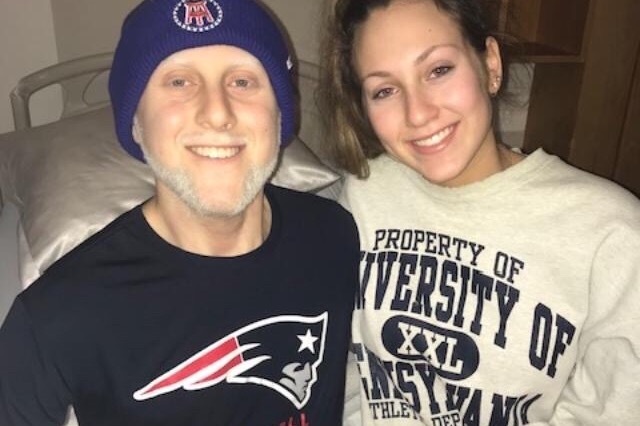 On May 3rd, Melissa and Jake met with a specialist in Boston. An x-ray of Jake’s femur showed a suspicious area by his knee and they were told it looked like a healing fracture, so an MRI was ordered. The following Monday, the most dreaded news that any parent can receive was delivered to the family. The doctors said that Jake had a 6.5cm tumor in his knee, and they were worried that this type of tumor could be malignant. They would need to confirm the diagnosis with a biopsy, and a battery of other tests to see if it had spread. By the end of the week all the tests had been performed and the results confirmed that in his lower right femur, Jake had a cancer called Osteosarcoma. This is a very aggressive form of bone cancer that mainly affects teen aged boys. Osteosarcoma likes to grow in large bones and metastasize to the lungs. It is a rare cancer and only affects about 400 people a year in the US. 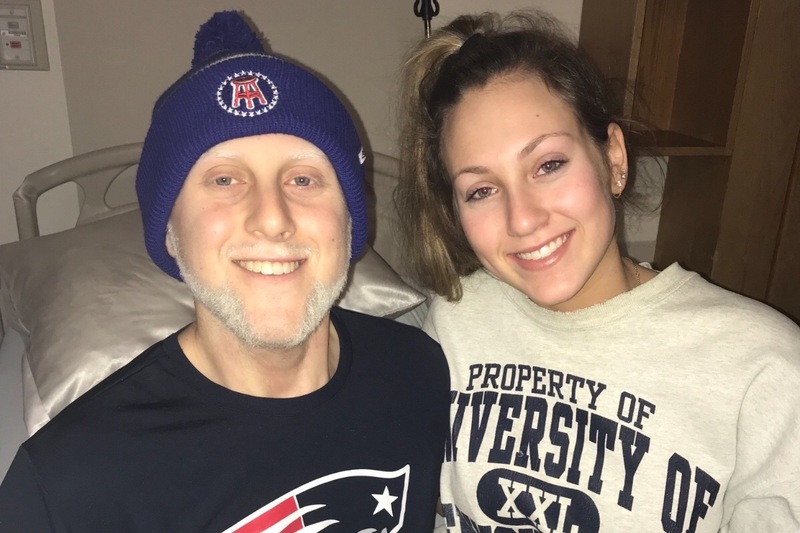 After meeting with a team of oncology and surgical specialists at Dana Farber and Boston Children’s Hospital the family is now gearing up for the fight of a lifetime. Jake will go through 10 weeks of chemotherapy right through July. Once that is over, he will have surgery to have the cancerous section, along with a portion of his leg bone removed in August. He will need to have his knee reconstructed. Following the surgery there will be 5 more months of chemotherapy along with rehabilitation. This will involve many visits to Dana Farber and Children’s Hospital, and a lot of tests to closely monitor the spread of this dangerous cancer. As you can imagine, the expenses for this treatment can add up very quickly. A lifetime of savings can be depleted in a matter of months with each round of chemo, the various tests, the hospital stays for possible transfusions and fevers, and rehabilitation. Please consider helping our “Silver Strong” Team Jake by donating to our GoFundMe site. Jake, like so many other kids out there, needs the support of community and friends to battle this cancer. Together we can make a difference for Jake, his sister Halle, his parents Rob Silver, and Melissa and Tony Duca. Any donation amount can make a huge difference. Thank You! I want to let everyone know, who have so generously donated to Jake's bucket list, what it is going for. 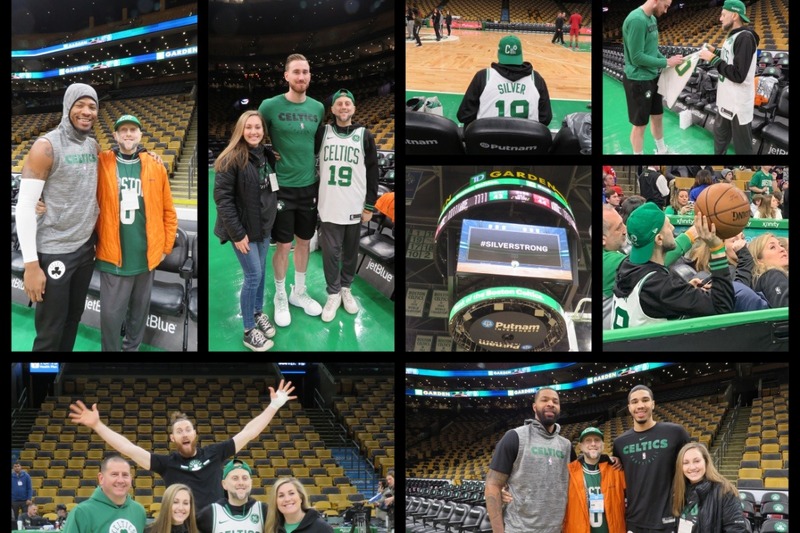 He has been to three Celtics games so far, met most of the Celtics players and the coach and was given a signed basketball by the team, a jersey with his name on it and Gordon Hayward signed another. We sat courtside as a family on Monday and he is again courtside with his sister and their friends tonight. We had the funds to get them a limo so we didn't have to worry about them getting into the city and it is a lot more fun for them also. We found out in the last few hours that we have tickets to the Super Bowl for all 5 of us including the Patriots experience and were able to get plane and train tickets to and from. Jake and I will be taking the train down while the rest of the family will fly down and meet us there. After the game, Tony, Halle and Rob will fly home and Jake and I will rent a car and head to Memphis, then Oklahoma City (where we will catch the basketball game), Amarillo and then Albuquerque where Halle and Tony will fly in to meet us. Then we are off to Four Corners, Grand Canyon, Zion, Salt Lake City and then Yellowstone. We will take a train home from there. Very little of this would have been able to happen if not for all of you. I have taken work off to not only spend time with Jake but also take care of him 24/7 because he doesn't want to be in the hospital. With these funds we don't have to think about finances and "if" we can make Jake's last wishes come true and for that, we will be eternally grateful to all of you! The outpouring of support has been incredible. There are so many balls up in the air that I am sure when they come down at least 2 or 3 of Jake's items will be crossed off. The biggest one will be our cross country trip to see the parks. We have to wait until his trial is over or see if there are hospitals along the way that can infuse him. But we are looking at Feb/March. We can't thank you all enough for the generosity of your gifts. It not only makes it so Jake can make his wishes come true but so his whole family can be there with him to witness and share in the memory. We will never be able to thank you all enough for the support but please know we are eternally grateful. *This picture is of Jake and his sister, Halle, at the Jimmy Clinic for Jake's first infusion of the trial drug. As many of you know Jake has been fighting Osteosarcoma for almost 3 years. He was supposed to have his leg amputated today to get the large tumor out and then start radiation on the tumor of his hip and then start a trial for the tumor in his lung. Today we got devastating news that the tumor in his lung grew and there are many many more in the other lung. They won’t do the amputation or radiation at this point. They are giving him 3-6 months to live and maybe a little more if he does the trial and it works. Jake has a bucket list that he has been writing over the last few years just in case. We have come to the just in case part and that is where these funds will go. To getting Jake to do things he should have had 50 years to do in his lifetime only now he doesn’t have years. Football season is upon us! As many of you know, Jake's passion is football. Watching Ohio State play football on TV, and playing for Ashland High School where Jake was the kicker for the team. So you can imagine how hard it has been for Jake to watch his team from the sidelines, not being able to contribute, sometimes feeling too sick or tired to even attend a game. But the games Jake has been able to watch from the team bench have been a boost for him - many of the opposing teams have even made cards for him, joined his facebook page, or donated to this GoFundMe page. 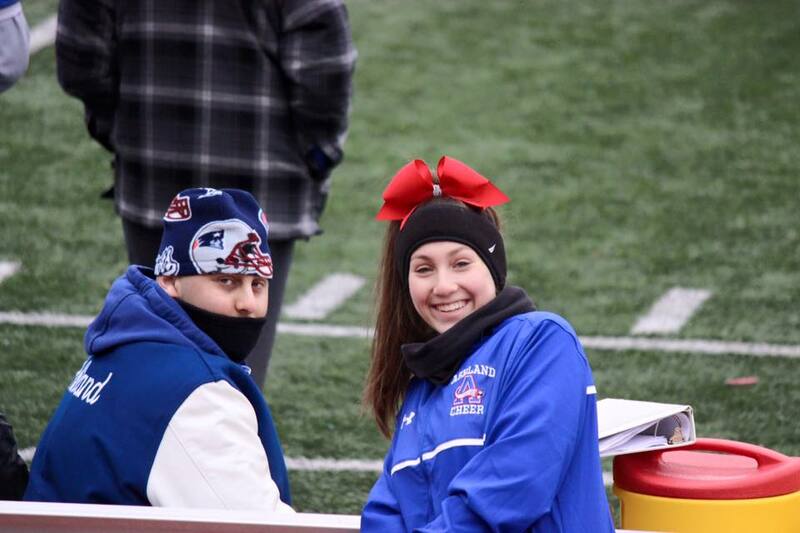 Occasionally he is joined on the bench by his sister Halle, who is a cheerleader for the varsity team, or by a few teammates that are checking in on him to make sure he is comfortable. 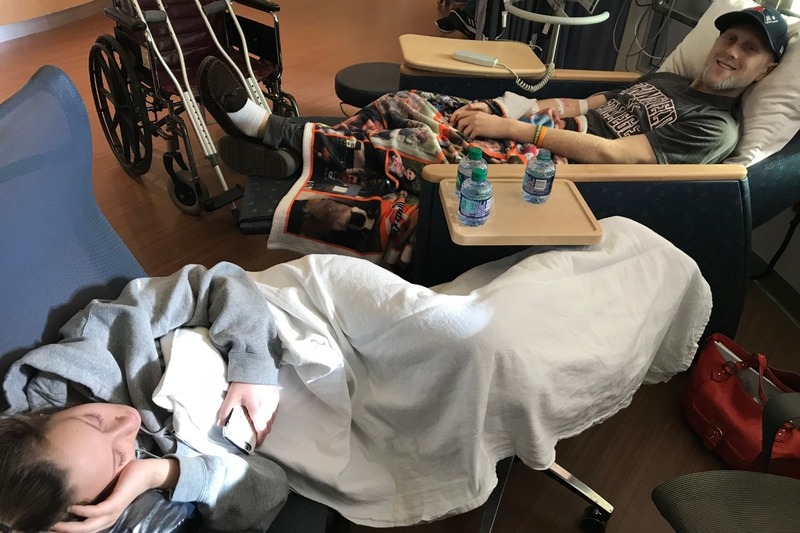 This year the football team beat their rival on a cold Thanksgiving day game, and although Jake had the strength and determination to watch the game at the stadium, he spent most of the holiday weekend in the hospital, due to a fever. But Jake has friends all over this country that are trying to boost his morale. 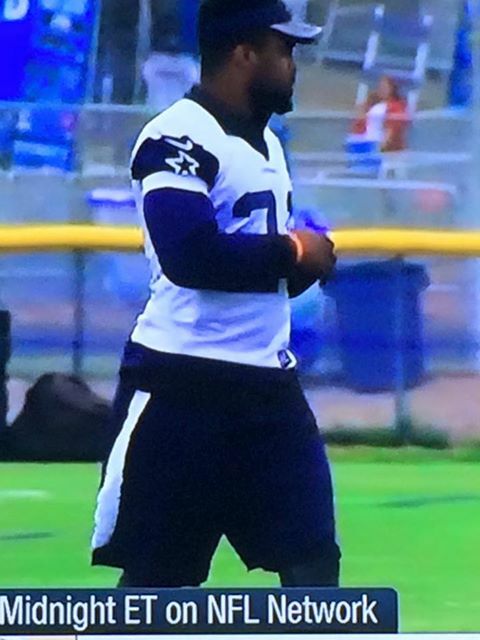 This football season Jake gained a special famous fan in Ezekiel Elliott, a running back for the Dallas Cowboys, and former OSU star. If you look at Elliott's wrist, you will see a special orange band on his right wrist that he wears every day, the Silver Strong bracelet, a symbol that people all over this country are helping Jake fight this cancer. So next weekend, when you are sitting with your friends about to watch a college or professional football game, a normal day perhaps for you and I, give Jake a quick thought and a quick prayer. Text him, post on his facebook page, or any social media and let him know that we are all in this together for him, just like Ezekiel Elliott does every Sunday. Our heartfelt condolences. We are so sorry for your loss. From all your friends at Realty Executives. May God bless the Silver family. Rest Easy Jake. I’ve followed your journey for months. The highs and lows all brought back vivid memories of when my mom was dying from brain cancer. I cannot imagine losing my child, and I am so very sorry for your loss. The strength the family has shown is amazing. Jake is out of pain now and surrounded by love. Take comfort in knowing that he passed away as he wanted to, at home, surrounded by love.